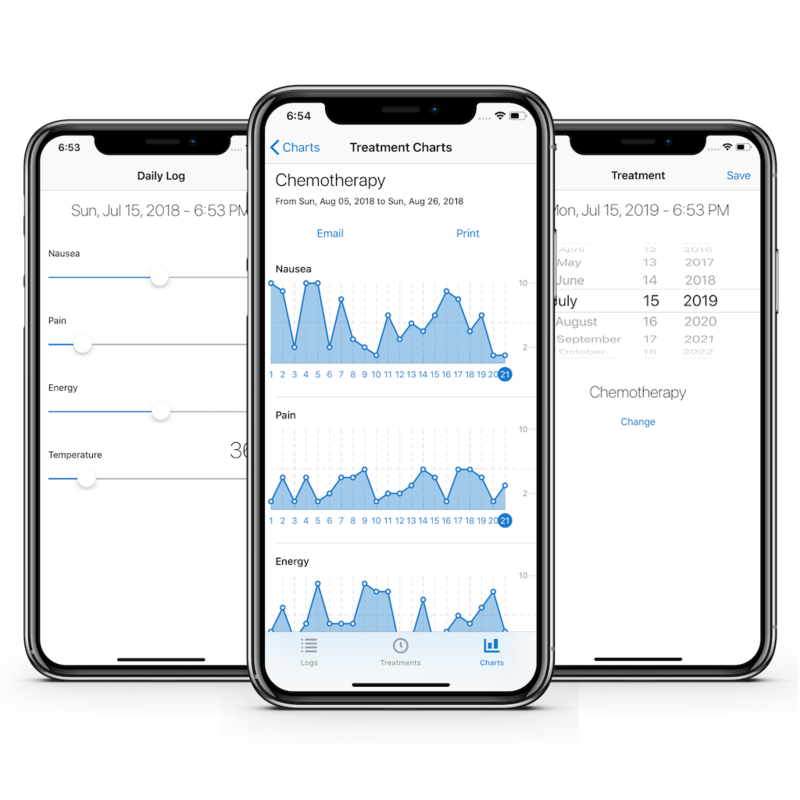 Chemora is an iOS app for improving the quality of care delivered to cancer patients who’re going through chemo and radiation treatments. It is essential for these patients to manage their treatment-induced side effects such as nausea, pain, energy, and body temperature on a daily basis. Chemora creates charts for all the vital signs per treatment. Patients and caregivers can either print or email the reports to the healthcare providers. This way oncologist can decide whether they need to make any adjustments to a patient’s drug dose and medication. Chemora is currently going under user testing and therefore not available on the app store yet. The report you see here contains arbitrary data points, and it is for demo purpose only. Are you an oncologist (radio or chemo) or a staff member in a cancer clinic or research center? We need your feedback and advice to improve this app. Please contact us, and we will arrange a demo for you.